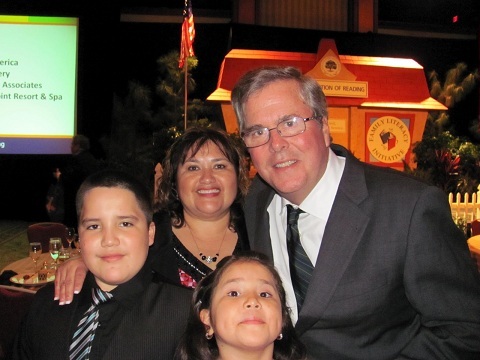 As the upcoming Mother's Day 2013 is right around the corner, I feel the need to mention that I've always thought that moms truly deserve to be honored throughout the entire year. There's just no one who fills that special spot like Mom, so why not celebrate her importance every day? This May, Dollar General and Procter & Gamble have teamed up for a great way to recognize moms who do extraordinary things every day: the true Every Day Heroes who have made sacrifices for their families and their communities. Using the theme "Moms Rule," Dollar General chose Maria Segura as its Every Day Hero for May 2013! Maria exemplifies the Dollar General Every Day Hero through her commitment to build a better life for her family through literacy and education. Maria was a migrant worker and through The Family Literacy Academy of Immokalee in Florida, she earned her GED and was able to offer her two younger children a better future. Today, Maria is the heart and soul of the program and donates much of her time to visiting families and assisting them with any needs they may have. Great job, Maria! Along with celebrating and honoring moms, Dollar General is also helping the rest of us by saving a bundle of cash on our shopping! 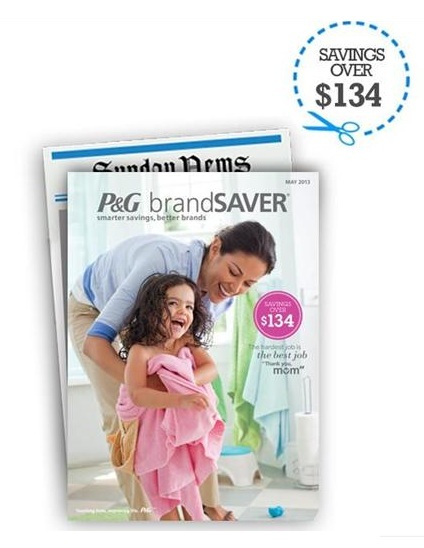 The May P&G brandSAVER will arrive in local newspapers this Sunday, April 28th and, as you can use P&G brandSAVER coupons at Dollar General, it makes it even easier to get high-quality P&G products at rock bottom prices! If you haven't been shopping at the Dollar General near you, you're missing out! Keep an eye out for their circular and then combine those offers with P&G brandSAVER coupons to fully extend your budget. Why wouldn't you want to take advantage of even more savings on everyone's favorite brands like Venus, Olay, Vidal Sassoon and Secret? Also, be sure to visit the Dollar General Facebook page in May and create a custom "Moms Rule" photo for your own Facebook Cover. Because, truly. Moms totally rule. 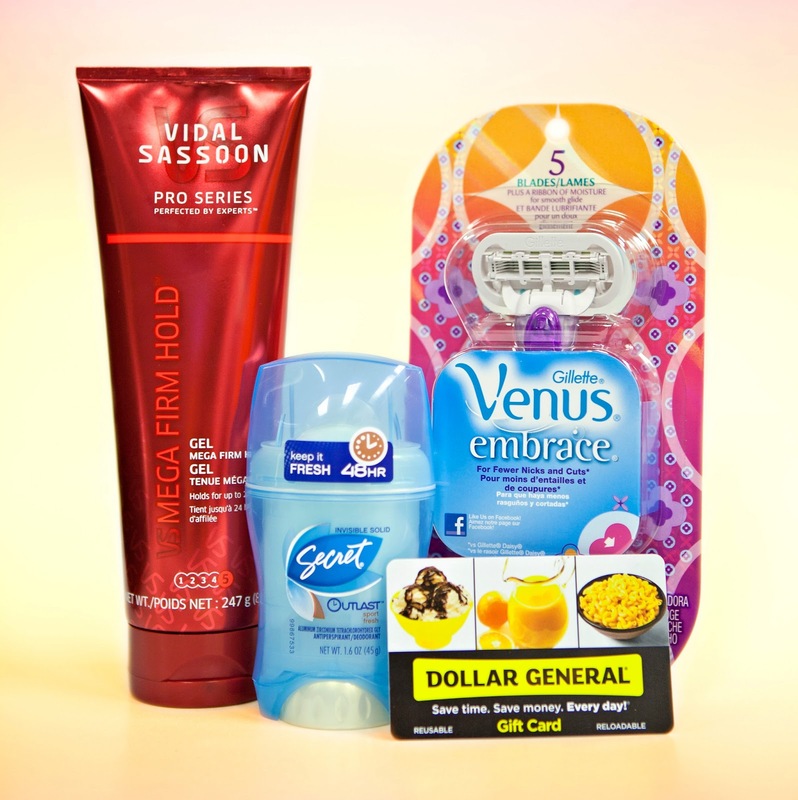 One lucky person will receive a Procter & Gamble Prize Pack*! Moms rule because no matter what your children do they will always love them and be there to help them through any and all tough times. Moms know how to make the boo boos go away. We know how to fix most boo-boos. Moms rule because moms are master multitaskers! Moms rule because we always know what to do when there is a problem. Mom's Rule because of their unconditional LOVE! Moms build the foundations of the world-- the memories and ideals of the next generation. Mom's rule because the good ones have unconditional love. Because they help the future generations! Mom's rule because they always know what to say to make you feel better. Mom's rule because of the unconditional love. Moms rule because of their dedication and devotion to their children, family and home. Moms rule because they are always there for you and would do just about anything to make you happy. Moms rule because they love you and support you unconditionally. Because they always take care of everyone else before themselves! Moms rule because they care for their families and their homes. Always waiting with hot soup and a sandwich after playing in the snow. moms rule because they can multi-task like no one else. Moms rule because we are in charge of everything! Moms rule because they always put there family ahead of themselves. moms rule because they love you and put up with you no mnatter what! Moms rule because they give great hugs and kiss boo-boos! Moms rule because they always put everyone else first. moms provide guidance and grow you wings to survive in the world. Moms rule because we give love, comfort & acceptance! Moms rule becuase no one loves you more than Mom. Because Moms can do everything even when they are sick! You can always count on your mom and you know your kids can always count on you. Mom's rule because they have unconditional love for family. Moms provide unconditional love, and they are there for you, always. I think mom rules because she is selfless & always there for me. Moms rule because dads know what's good for them (which is to let mom rule!). Moms rule because they love their children unconditionally. Mom's rule because there isn't anything they won't do for their children. Thanks so much for the fantastic giveaway! That's true! Moms are everyday heroes! They are helpers forever, problem solvers, a mom is the only person can love unconditionally which make her special! Great post/review& giveaway as usual Xenia! Moms rule because they can juggle lots of things better than anybody! They are always selfless and giving! Moms Rule because they are the strongest people on earth!!! moms rule because of their ability to simultaneously feed, change, cook and schedule all while only having 1 1/2 hrs sleep! thanks for the awesome giveaway-great prize! Moms rule because they always makes kids mind their manners. Moms rule because they think of others before themselves. Moms rule because they can always come up with stories at the spur of the moment! Moms rule because the care so much. I think moms rule because they are always there to talk to about your problems. Mom's rule because they can fix anything with a hug and a kiss. Mom's rule because they keep on chugging even when they are taken for granted. Mom's do so much and participate in everything. Moms rule because they always forgive their children, no matter what! We rule, 'cause we clean what no one else has the stomach for. Moms rule, because if they got paid for what they do all day long at home, they would get paid more than most average jobs. They play a very important part in molding and showing love to someone. They teach their kids manners, respect and courtesy, important things to know and practice their whole lives. Moms rule because they work at a thankless job 24/7/365. Mom rules - she has to deal with all of the kids needs all of the time. Moms rule because they put the needs of their children before their own, they have so much charity, and raise the next generation. Moms do rule...because we are the ones who keep the family together as much as possible. When a crisis hits and someone needs to be somewhere, we are the taxi. During sickness, we are the doctors. In bad times, the shoulders to hold our children up. The ones who praise, yet discipline.I have 2 children who have major auto immune disorders (4) each right now. They are only 11 and 15. I have 11 disorders. We hold each other up during the good, bad, and ugly. The love we share is amazing. Being a single mom is hard enough, and running to dr. offices, hospitals, and counseling constantly can wear you down. Yet we continue to push through together. Nothing feels better than hearing your kids say, "I LOVE YOU MOM." It makes it all worthwhile. Mom's rule because they are always there for their family, in good times and in bad. ALways there to listen and offer advice. Moms rule because they always put thier family first! Thanks. Moms rule because they are always there to kiss our fears and troubles away .. thank you. Mom's Rule because they have one of the hardest jobs on the planet (being a mom) without getting paid! Moms rule because we can multi-task better than no other! because she's always there for me! Moms rule for being able to function through sleep deprivation and illness. Mom's rule because we take special attention to our kids. Yesterday, I won a free nail polish in the mail, so I included my daughters in enjoying a manicure night at home. They loved it just as much as I did! I am 53 years old and when I need my Mom for anything, she is there. Thank you for the chance to win! Mom's rule because we can multitask, get it all done, and get it done WELL! Moms Rule because they juggle many roles at one time ~ caregiver, employee, wife, mother, lover and too many others to list them all. Moms rule because of the love they have for their kids. Mothers will put their needs last to make sure the children have what they need or even want. We have a deep unconditional love for our children, an amazing bond. Moms rule becuae they are the glue of the family. mom are always there in good times and bad. Moms have the best advice. Mom's rule because they know how to take care of us like no one else can! Moms rule because they never forget your birthday, they can keep a secret and no matter how bad you suckat whatever you do they are your biggest fan! Moms rule because they are moms even when their kids are adults. They always worry about and take care of their "children". Moms can cook great food! Moms rule because they do so much for their children! Moms rule because they will ALWAYS be there for their children..no matter what! we do it all! cook, clean, care! We know how to make our babies stop crying! cause mom always knows the answer to even the weirdest of questions! We can do it all, and then some! Moms rule because of how much love they have to give. Mom's rule because they love you no matter what! Moms rule b/c we make the rules! because sometimes, only MOM will do. Moms rule because we are the ones that are the glue that holds the family together. Mom's rule because they are the ones that make the boo boo's go away. Mom makes it all better! Mom's rule because they put family first! Moms always have your back. Because we are always there for our kids. My Mom always takes good care of me, and I'm so thankful! Because they put up with their kids mistakes and still love them no matter what. Moms rule because selfless love for their children, they are always there for you, no matter what good or bad. Moms rules because they hold many jobs! They are so important yet under recognized in this culture of achievement and careerism. They rule because they have unconditional love. They might not always like what you do but they will always love you. Thanks. My mom has always ruled she loved us was there for us but also taught us how to be responsible and to work and now that my sister has passed away she is there for her kids my mom became my best friend. Moms rule because from the very start they love their children unconditionally. because we have 24 hours jobs! Moms rule because they always love you. Moms rule because they are always thinking of others (their kids) before themselves! moms rule because they are always there for you!! Moms rule because we are always there 24/7. We are very selfless creatures and we want to make everyone happy. Because they are your best friend!! Mom's rule because they are the givers of good advice. Moms rule because no matter what we always make time to help everyone with their problems. Moms rule because guys are idiots when it comes to raising kids and cleaning house. Moms have to pay attention to detail why guys do things like can't put the toilet paper back on the roll because it's too hard. Just guys are idiots. Moms rule because they pretty much teach us everything we need to know. Moms rule because they are in charge. They do it all and if they don't know how, they figure it out! They would do anything for their children. Mom's rule because they love you no matter what. Moms rule because they will always love you! Moms rule because of their ability to multitask! They always have an answer for everything. Moms are the best - hardworking and loyal, puts the family before herself. Moms rule because they are so giving and loving! Mom's Rule because of their unconditional love. mom's rule because we can do it all! and love being a mom and grandma! Moms rule because we can make ouchies go away with a kiss! Who else can do that?! Moms rule because we can do (almost) anything. Moms rule because they give unconditional love to their babies. Mom always seem to know what you need. She also keeps everything running smoothly. No one, but no one, ever loves you like your Mom. I think Mom's rule because they change those nasty diapers. There is no way I would ever do that. Moms rule because they're the only ones that can fix a boo-boo with just a kiss. moms rule because we do everything! !our families would be lost without us! Mom rules with just a look, you know The Look.